Flea and tick prevention is a key aspect of your dog’s overall health. Nova Scotia does not see the cold winter temperatures every year needed to kill off the flea population (3 days of -18°C). Also, fleas survive very well in-home environments regardless of the outside temperature. Ticks are active if temperatures reach +4°C which here in Nova Scotia occurs every month of the year. Therefore, we recommend year-round preventative protection. If your dog has fleas, there may be no signs at all, or you may notice more scratching by your pet. Fleas will leave little black specks in your dog’s fur that look similar to pepper flakes. You can comb their fur and clean the comb out onto a piece of white paper. The paper will help make the black specks more visible. Some pets may also experience hair loss and/or a bumpy red rash on certain areas of their body. Dogs (and people) do not notice when a tick attaches to their skin. It is wise to check your dog over thoroughly (either with a comb or your hands) after walks, trips to the park, or even after being just outside after a walk in the long grass or woods. We have many treatment options. 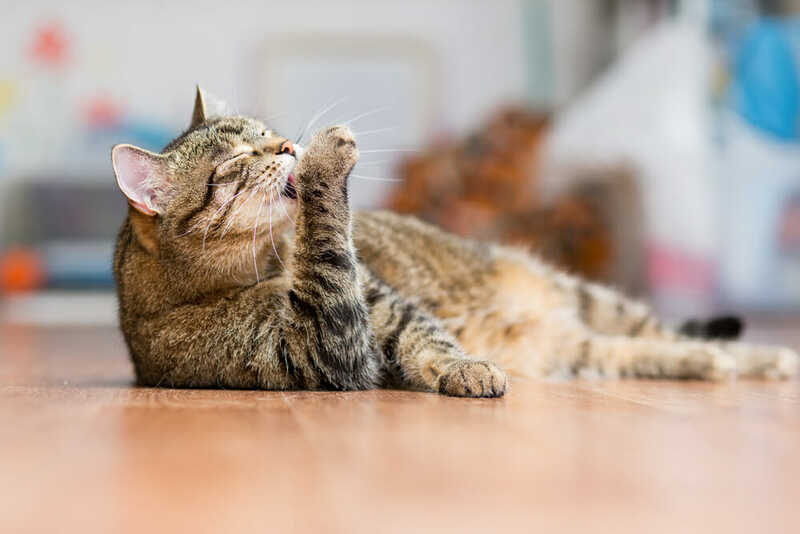 We offer both oral and topical (applied to the skin) treatments that are given either monthly or every 12 weeks depending on the product chosen to treat and/or prevent tick and flea infestations. Typically, it is as simple as removing the tick from your dog’s skin. We have a blood test available to test for tick-borne diseases such as Lyme disease. This test is done 4 to 6 weeks after tick attachment as most tick-borne illnesses do not appear in your dog’s blood work until that time. We recommend this to ensure your pet is healthy after a tick attachment. In the event that your dog contracted an illness from a tick, a Veterinarian will discuss a treatment plan during the examination.